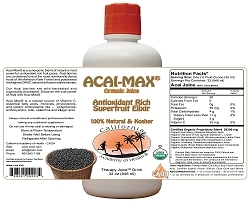 I’ve recently bought your Absolute Acai Capsules product. I’ve not yet received it, but I had a question which your videos on YouTube did not quite address. 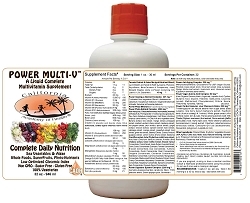 How much weight loss am I to expect while taking this product, without exercise? 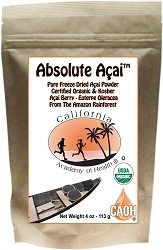 How much exercise do you recommend to boost the power of the Acai? Thank you for taking the time to consider my questions, I hope to get an email from you soon! I hate to have to break the news to you but acai is not a weight loss product. Who told you it was? Acai is a wonderful, polyphenol rich, super-fruit, but it’s not going to shed pounds off of you. Here is what I would do: Take two caps in the morning (it is a great antioxidant) with a vegetable omelet. No snacks between meals. Have vegetables and protein for lunch and dinner. Each meal can have some fat like olive oil, avocado, olives or nuts. If you follow this program, with 20 minutes of exercise each day, I can almost guarantee that you will lose all the weight you want. In 10 weeks (no cheating) it can be as much as 30-40 lbs!